If you’re like most people these days, part of your home is dedicated to housing the vehicle that gets you from point A to point B. 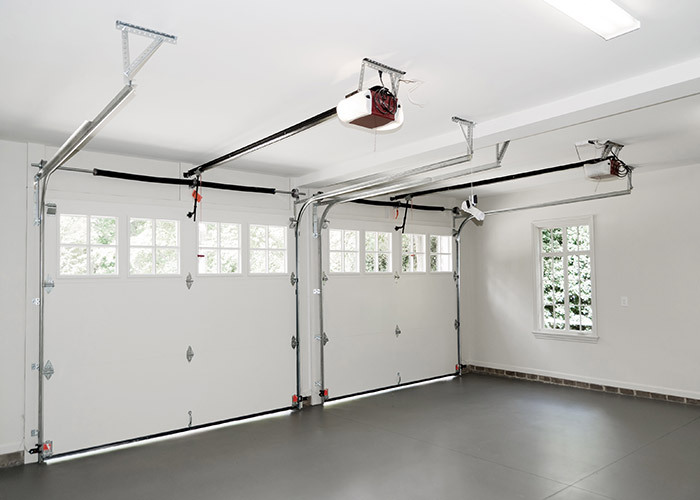 Since most garages are unfinished (meaning, they don’t have a ceiling or finished floor other than a concrete slab) it’s easy to overlook this part of the home when it comes to picking out quality craftsmen and contractors. You’re more likely to pay greater attention to other areas of your residence, like your kitchen or bathroom, when it comes to screening contractors and viewing their portfolio of previous work. However, there’s one part of the garage that should certainly not be overlooked when it comes to making sure that installation is done properly – the garage door. You’ll want to avoid any potential problems with your garage door, so make sure you use a reputable company that’ll use good quality products with solid parts and well-made machinery that won’t easily malfunction. Also ask around among friends, family, and neighbors, to see if anyone has a good recommendation for a reliable garage door installation company. Homeowners are usually not shy about sharing their opinions on contractors, painters and builders, so if multiple people are telling you that a company is a good one, it’s probably believable. Just make sure you verify their glowing words with a perusal of their websites, just to make sure some (most likely) non-biased people outside your immediate circle are saying this company does good work. How Much Experience Does this Company Have? How long has this particular company or dealer been in business in your area? 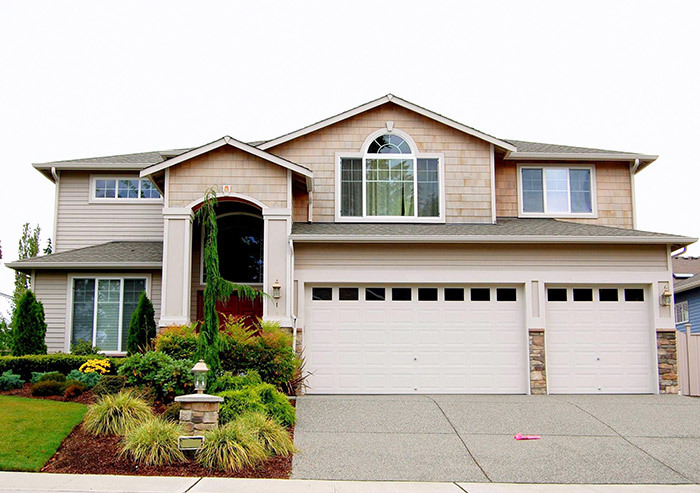 Like any component to the building process, and the ongoing pursuit of perfecting home maintenance, different environments (such as the topography, temperature, soil, and humidity) have huge effects on your house and all of its parts, and a garage door – a complex piece of machinery, far more complicated than a normal door – is no different. A company that’s been in business in your neck of the woods for a long time will have a better grasp of the environmental factors in your area that may affect the selection of particular materials, installation and maintenance. Being recognized by an oversight agency is important in any business or professional context, so make sure the company you’re working with displays some sign that a third party is checking in and making sure their work is quality, and that the company knows what it is doing. The certification process will ensure that people working for the company are professional and have an excellent grasp of all the situations that could come up in the installation process. Do They Follow Codes and Regulations? Never work with a contractor or company that refuses to follow local and national building and safety codes. Whether they’re trying to avoid fees, the filing of paperwork, inspections or just trying to do something the good old easy way, these types of contractors can really mess you up in the long run. Not only do you run the risk of their work turning out to be low quality, but it may impact other areas of your home. If for some reason a home inspector ever does examine their handiwork (say, if you trying to sell your house) you’ll have to start dealing with a whole can of worms you never expected. It could be as simple as filing paperwork, or as nightmarish as needing to rip out and redo parts of your home. Verify that the company and/or contractors are licensed in your state. Make sure the company is insured and that they cover the safety of their workers. Companies who don’t do this or are reluctant to do so are cutting corners, and it may be indicative of an attitude that trickles down into the work being done on the front lines. Companies need to take care of their employees and assume responsibility for their products, so if there’s some issue with the garage door, or some unfortunate event during its installation, you don’t want that to effect you, or have anyone attempt to implicate you at fault in any way. If you have a problem with your garage door down the road, you’ll want to be able to call the company to repair their work. If the company has gone out of business, their warranty is meaningless, and you’ll have to shell out money to have a repairman or a person from another company come out to your home. You can gauge the stability of the company by reviewing their website and portfolio of work (if they’ve posted one), and even asking them about how their business is going. If they have business, they won’t mind telling you so. Taking these factors (stability, accreditation, insurance, codes and regulations) into consideration will help you pick a reputable company to install your garage doors. You can be one of the happy customers leaving a five star review on Google, and sharing pictures of your new garage door on social media (maybe even giving that company a shout out). If you don’t pick a reputable company, on the other hand, you could be one of those customers leaving behind half a star with some angry words, if that company even is still around for anyone to see your review! In Rockford, homeowners trust Feldco for their garage door replacement needs. We’ve been serving homeowners since 1976 and would love to help you with your garage door project – get a free quote now!